The massive oil spill in the Gulf of Mexico in 2010 was not caused by BP, but by a contractor, yet BP got the blame. The toxic waste from the production of Apple products dumped in China in 2011 was not dumped by Apple, but by a supplier, yet Apple got the blame. The horsemeat found in beef burgers in 2013 was not added by Tesco, but by a supplier, yet Tesco got the blame. In all three cases, blame for the damage caused by suppliers floated up through the supply chain until it lodged with the big brand at the top. No longer can companies constrain their corporate responsibility within the factory fence, as that boundary is not recognized by outside observers. This situation is exacerbated by the fact that the majority of most organizations’ environmental footprint lies in their supply chain. This means that, to address the sustainability agenda in a meaningful way, they must tackle the impacts of their suppliers. Unfortunately this is a huge challenge as visibility and influence diminishes quickly as you start to work your way down through the layers of suppliers. 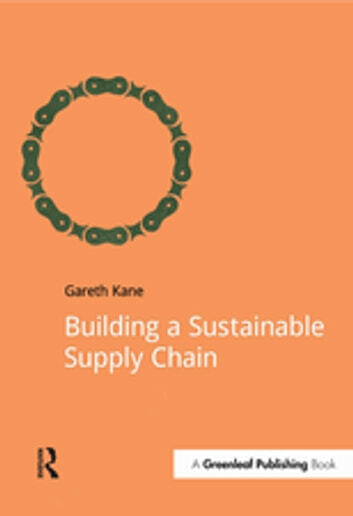 This book gives a quick but comprehensive guide to the most effective techniques to help you proactively address environmental risks in the supply chain. 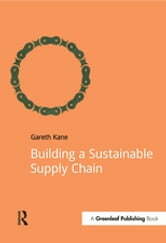 It covers the following: the business case for a sustainable supply chain; supply chains and sustainability: the big picture; making supply chains sustainable: the fundamentals; basic techniques: the "hard yards" of green procurement; intermediate techniques: those requiring changes to operations and products/services; advanced techniques: changes to the business model and corporate philosophy.The book draws upon exclusive interviews with top sustainability practitioners along with the practical experiences of the author to provide real world examples at the cutting edge.